At Blue Water Tackle Shop we have everything you need to start fishing on Hilton Head, whether you’re a beginner or seasoned angler. 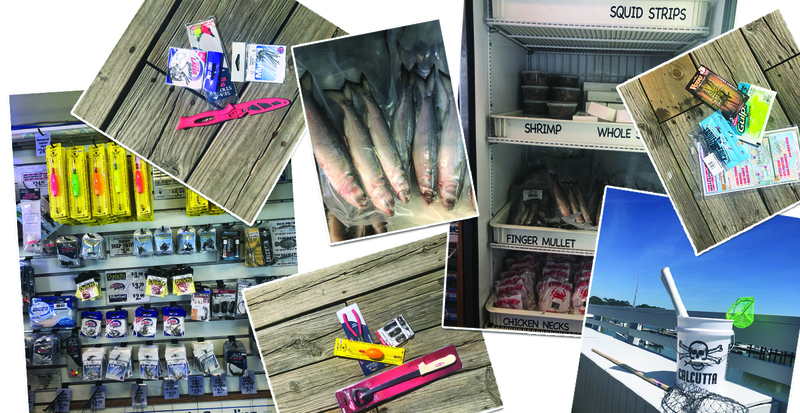 For bait, we carry frozen shrimp, squid and mullet, as well as chicken necks for crabbing, and a wide selection of terminal tackle including hooks, rigs, floats, weights and lures. We also love getting kids into fishing! We have beginner rod and reel combinations and all-in-one starter kits. We also sell spools of monofilament and braided fishing line, and we have a linewinder machine if you’d like us to put line on your reel for you. Or if you’d rather catch your own bait, we sell cast nets and minnow traps. Even if you don’t fish, you’ll want to check out our world famous line of Blue Water t-shirts, sweatshirts, performance shirts and hats. We carry sunglasses, sunglass retainers, sun block and bug repellent to make your time in the Carolina sun more pleasant. 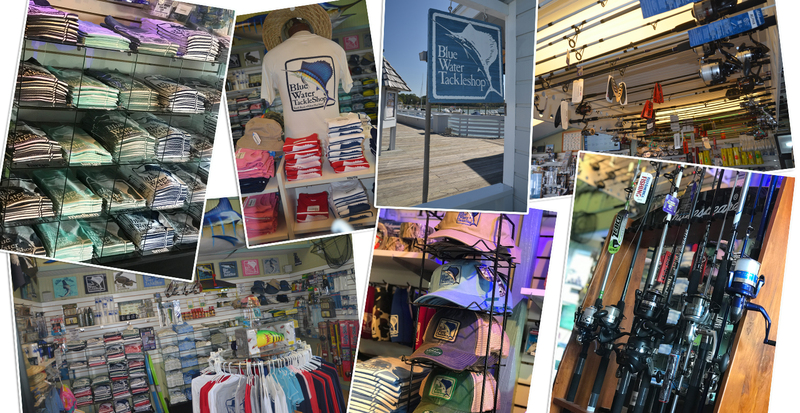 You’ll also find nautical charts and special souvenir and home décor items, including a variety of Guy Harvey products.